According to the Care Quality Commission (CQC) 2014/2015 Annual Report, around a third of care providers were classified as ‘needing improvement’ and seven percent deemed ‘inadequate’. The most common problems cited were poor leadership, lack of skills, poor training and a lack of systems and processes. Whilst the CQC’s latest announcement points to some improvement, the overall figures are still a cause for some concern. At the same time, another report commissioned by Community Care in partnership with Unison found that staff working in residential care homes are not being provided with the training they need to support adults with complex needs. 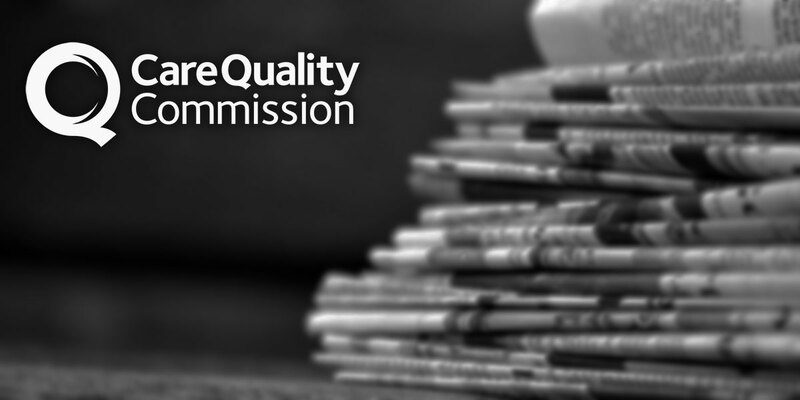 The Community Care research carried out a detailed analysis of over 300 CQC inspection reports over a nine-month period, looking specifically for areas where training had been identified as an issue. Training gaps were identified in 71% of care homes that were told to improve. Dementia care, safeguarding and the Mental Capacity Act were shown to be the areas where the lack of training fared the worst. Almost half (49%) were breaching regulations that require them to ensure a suitably trained and supported workforce. Back in 2013, the then Prime Minister (David Cameron) outlined a national challenge to drive significant improvements in care, research and awareness in the field of Dementia care. As yet, the worst performing care homes in the CQC report do not seem to be taking adequate steps towards the provision of training on the condition. This is particularly worrying as many of the care homes highlighted as being below par, mention dementia as an area of specialisation. The Alzheimer’s Society says that 80% of people living in care homes have either dementia or severe memory problems, which means that training in looking after dementia residents is more important than ever. The CQC report also showed significant gaps in safeguarding training in a quarter of the care homes that were told to improve in this area. In the worst cases, staff interviewed by inspectors had ‘no understanding’ of how to ensure people’s rights and wishes are respected, and one in ten of the inadequate homes were found to be depriving residents of their liberty. The issues highlighted in these reports are worrying and need to be addressed. That said, tight budgets and time pressures make it difficult for care providers to keep on top of everything they need to do to be 100% compliant. Care Academy was designed to take care of the training and compliance issues highlighted in the CQC reports – and much more besides. Care Academy offers a proven, ‘right out of the box’ solution for delivering and managing training and development. We’ve worked with some of the leading names in the sector and have identified many of the common problems faced by care home owners. We can fast-track you towards high-quality learning, assessment and compliance, supported by clear, logical operational policies and procedures. We’ve automated many of the processes involved in training, development and compliance and have created what we call our ABC Concept. It’s based on the three core principles that underpin everything we do. These are Automation, Budget and Compliance. Our tried and tested approach makes budgets go further and compliance will become much easier to obtain. you’ll never be concerned about a CQC inspection ever again. We’ve refined and automated all the processes and repetitive tasks involved in managing a complex training matrix. This means your people have more free time to focus on higher value tasks that will develop and grow your organisation. We’ve harnessed the power of technology to transform your training and compliance. We put your people back in control so they become more effective and efficient. We provide robust tracking and reporting capabilities. We offer a wide range of high-quality assessment tools, from ‘fast-track’ recruitment screening and induction through to in-work competency observations. Using Care Academy means that your already stretched budgets will work harder and deliver more. We can show you how to save hundreds of man-hours in training and development so you can focus on delivering a higher quality service. We understand that your budgets are always under pressure. Our system allows you to do more with less. Not all systems are equal. Care Academy offers the best all round value. We can help you offset some of your training costs with our unique ‘funded’ model license and automated funding form management system. We excel at making it easy for our clients to ensure they are fully compliant with changing legislation. Our robust tracking and reporting gives you instant access to a range of compliance reports and will highlight any non-compliance issues that need resolution in real time. This means you can quickly measure the scale of the problem and we give you the tools to work out how to fix it. The care sector is heavily regulated. Non-compliance can result in serious consequences and may threaten your license to operate. Our system has been designed to help clients achieve 100% compliance for their training, assessment and policy management. Our tools instantly pinpoint non-compliance issues and provide a range of tools to enable clients to take immediate action. If you would like to view Care Academy or have an informal chat about how we can help you reduce costs, improve efficiency or achieve compliance, call us on 0330 995 0840 or complete our online form. If you’d prefer to find out a little more about how we work, please feel free to view our latest client case study that illustrates how working with Care Academy has added real value.